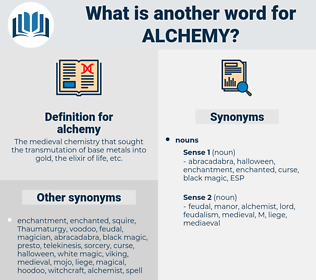 What is another word for alchemy? 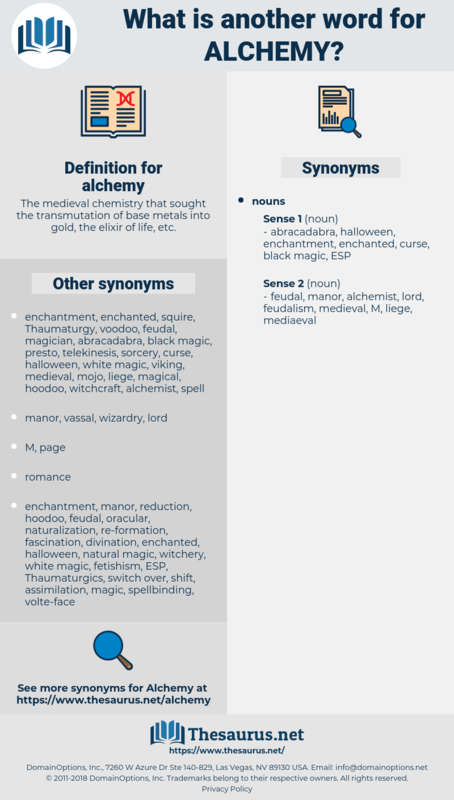 The medieval chemistry that sought the transmutation of base metals into gold, the elixir of life, etc. By his mysterious alchemy, he has crystallised the doubtful waters, which once were in the cup of Life and Love, into a jewel which has no flaw. I was not learned enough to tell what the characters were, but the whole plainly belonged to those strange, outcast academies of astrology, alchemy - magic, in short. alisma, Al-hakim, allogamy, alyssum, allegheny, alaskan, alkene, alkane, Al Qanoon, align, Alcyone, alkyne, allusion, Alhazen, alhacen, algin.